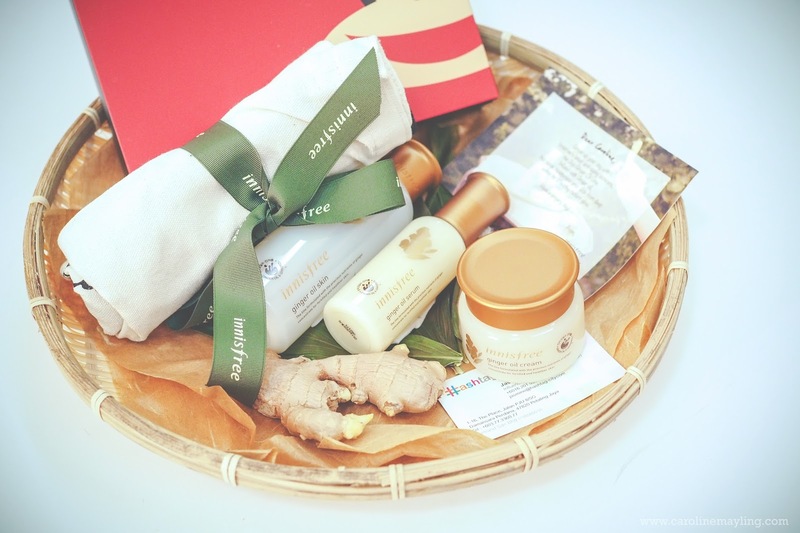 Earlier this month, innisfree surprised me a special personal delivery of the new innisfree Jeju Ginger Oil Line products! 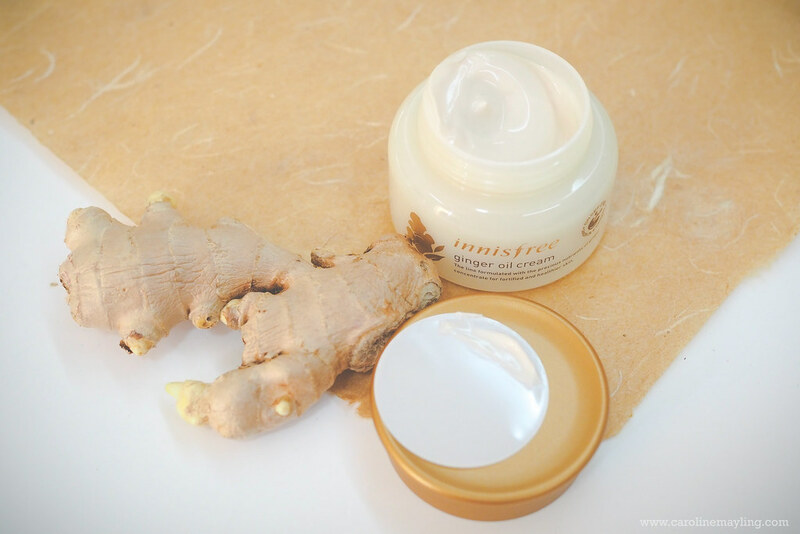 If you follow my blog long enough, you would know I've been using innisfree products (both skincare and cosmetics) and also tried out a few different skin care product range from this brand. I bet some of you also know how sensitive my skin are, yet these products never break my skin out, all gotta thanks to all the natural ingredients used in their products. Ginger has a long-standing reputation as a universal healer. In Ancient China, it is said that Confucius claimed never to eat a meal without ginger for extra warmth. In the 16th Century, Ginger Bread was first made when Henry VIII of England encouraged people to eat ginger in hopes of building a resistance to diseases. 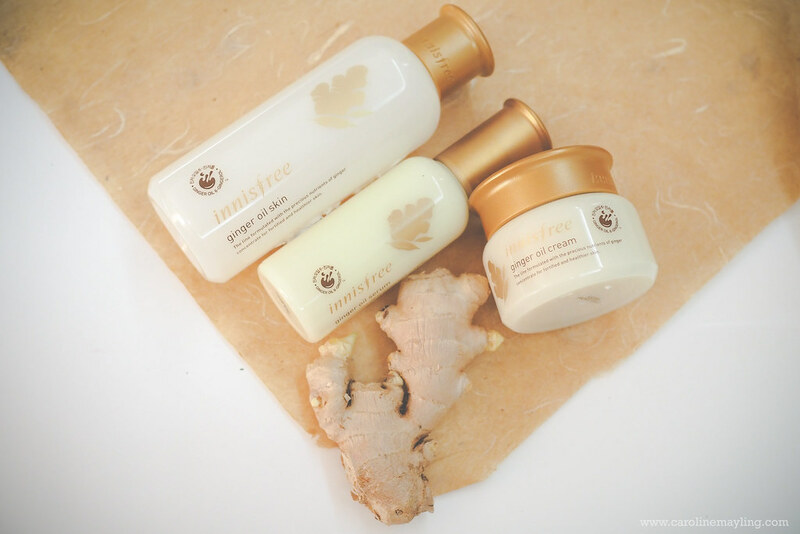 The new Jeju Ginger Oil range of products is packed with a high concentration of 6-Gingerol extracted from the pristine environment of Jeju. This active ingredient of ginger root helps strengthen skin's defensive power to protect it from external harmful elements. 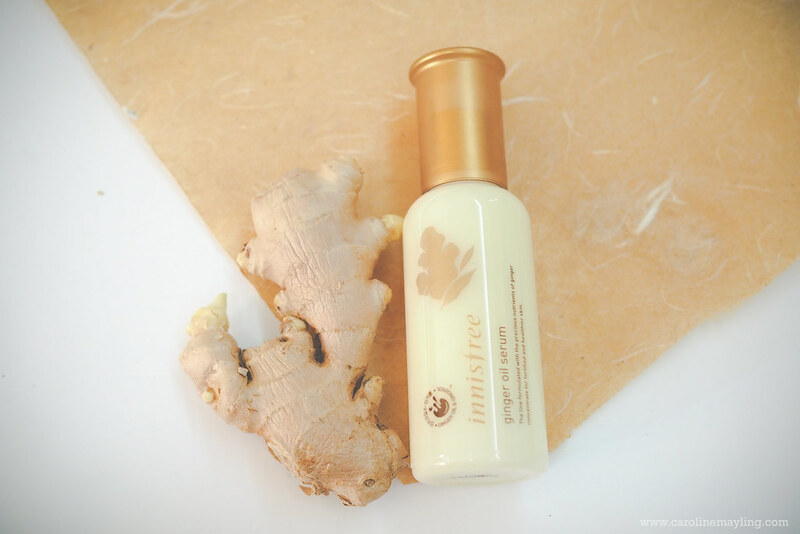 As a new addition to innisfree anti-aging category, it has a distinct function from other lines and works particularly effective in addressing inner skin dryness. The Ginger Oil Line includes - Ginger Oil Serum (RM132/50ml), Ginger Oil Rich Serum (RM132/50ml), Ginger Oil Skin (RM105/200ml), Ginger Oil Cream (RM132/50ml) and Ginger Oil Warming Mask (RM85/80g). 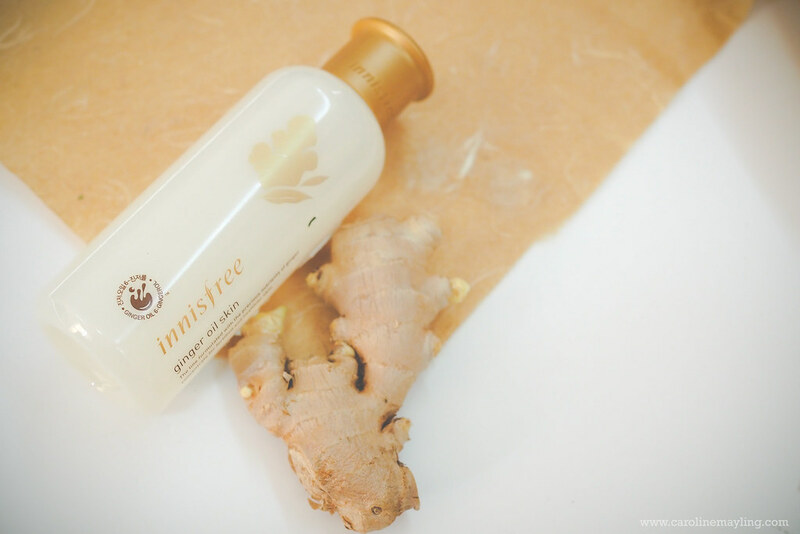 This Ginger Oil Skin is a highly nourishing toner that contains natural xanthan gum, an ingredient that helps form a moist water protective layer on the skin. It can be easily absorbed into the skin and leaves a smooth and moist feeling. This Ginger Oil Serum contains 40% of the ultra-fine ginger oil that are stabilized in the extremely fine micro-size form that are smaller than other essence products. This is why the texture is rather light without a greasy feel despite its high oil content. The ideal steps to use Ginger Oil products - Skin > Oil Serum/Oil Rich Serum > Cream > Warming Mask (weekly). I have been using these three products for the past 2 weeks and so far it has been showing nothing but radiant glowy skin to my skin. Again, it didn't break my sensitive skin out too. Did I mention that all of these products smells amazingly gingery good!? It has mild pleasant gingery smell that somehow makes me zen whilst applying the products on my skin. Now, I am so tempted to try out the Warming Mask! Do not forget to visit innisfree outlets below to check out for their monthly in-store promotion and also all the new products range that have been launched monthly! 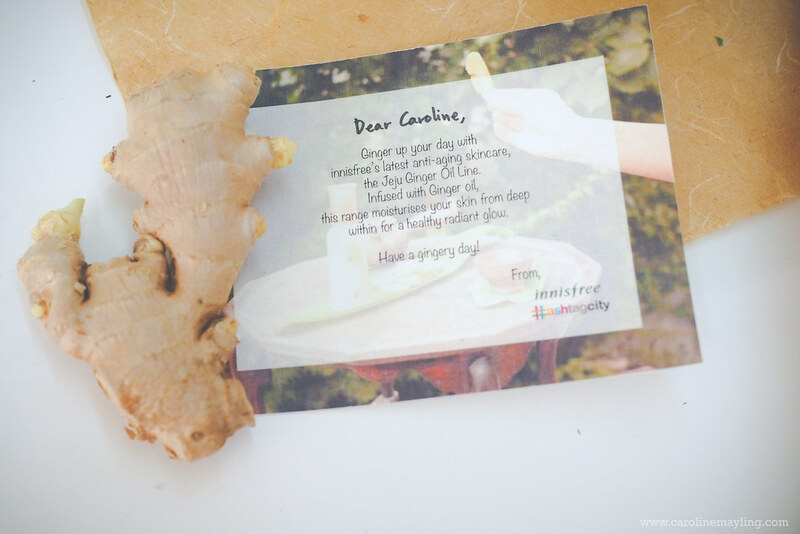 I usually hate the smell of ginger but after using this it isn't too bad after all! This style is really amazing. This are can be used in a lot of different moments. Only for decorating! 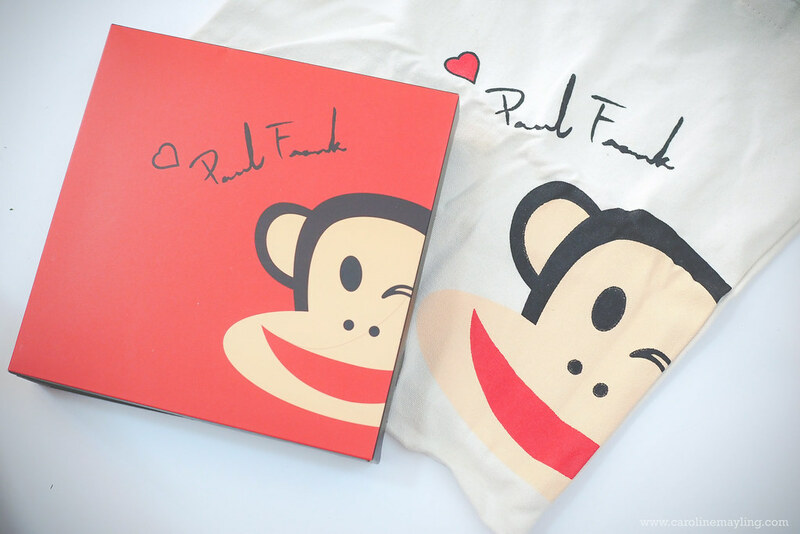 Here is outstanding http://www.business2community.com/b2b-marketing/6-ways-move-content-marketing-new-level-social-media-01466105#fOd56hMJlw2gpFtv.97 material about styling!